There are times where you want to hold events where you just want to invite a bunch of people. That would mean you’re going to have to create invitations for these events so that people will know about it. 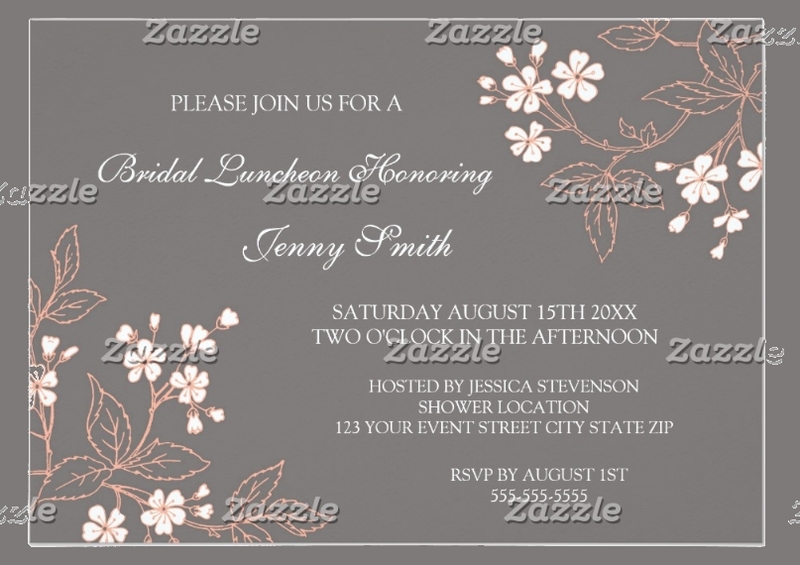 There are a ton of Examples of Invitation Designs that you can choose online to help you with this. However, just because there are a ton of Event Invitation Examples you can download does not mean your invitations are going to be amazing from the get-go. 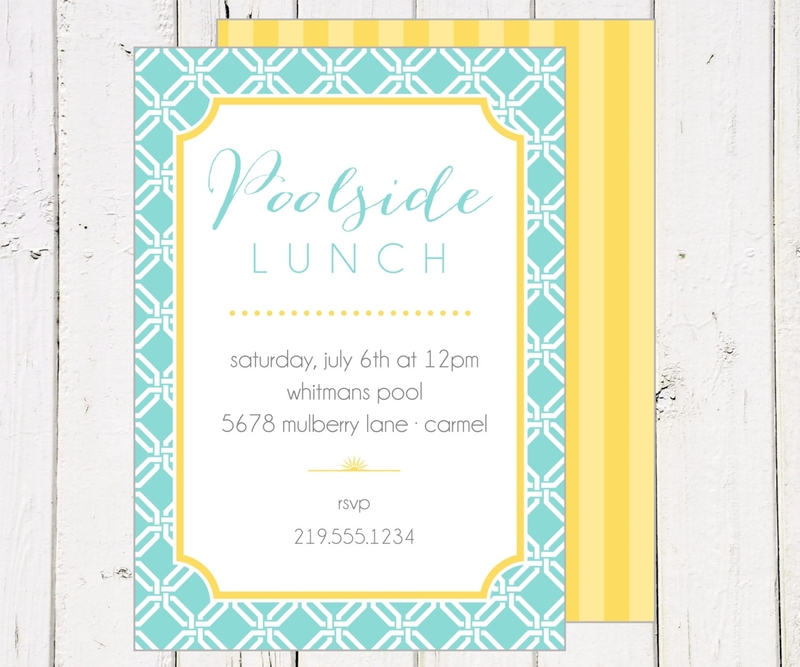 You need to learn how to create invitations for the exact type of party you want. 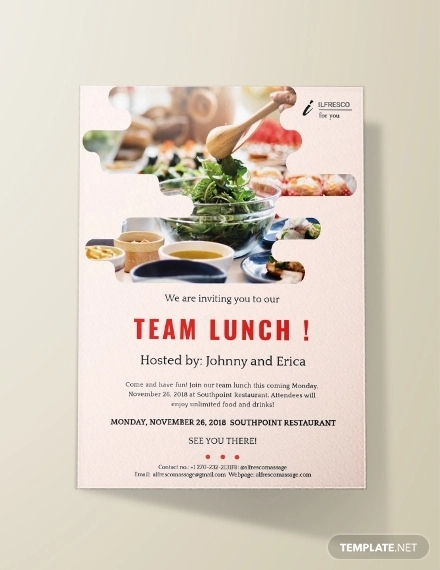 So if you want to hold a lunch event? 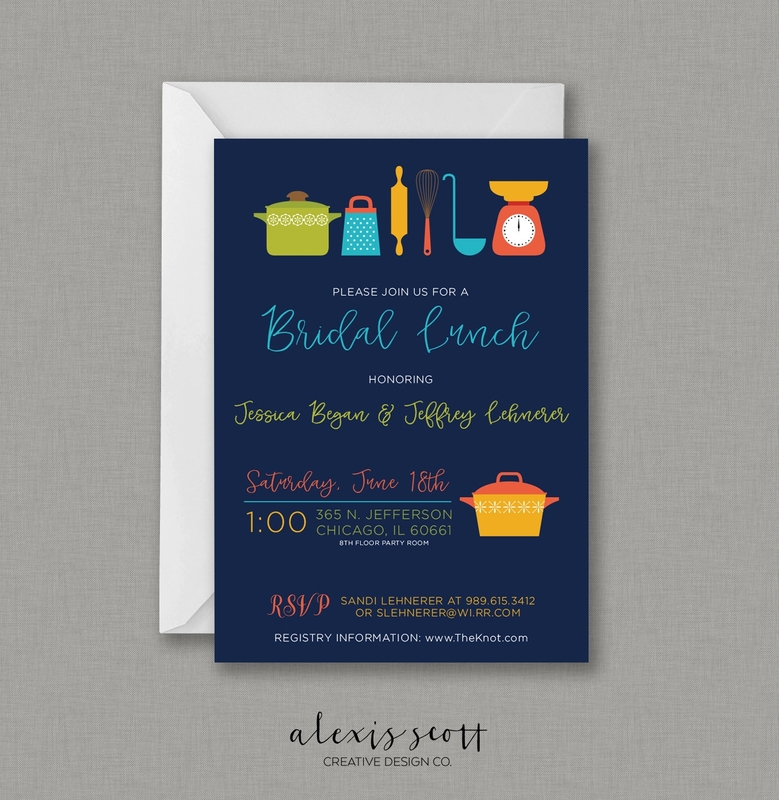 Then you’ll need to learn how to make lunch invitations and this article will teach you how to do that. 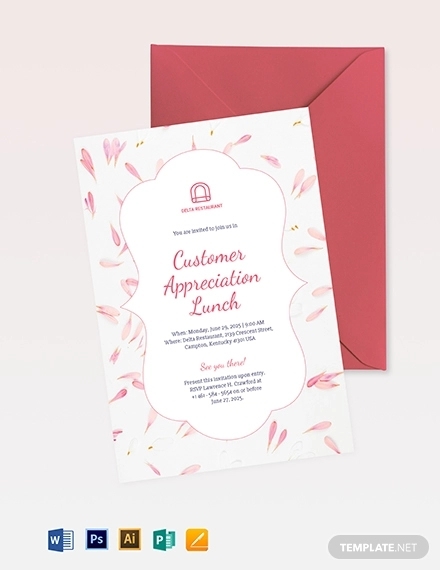 If you’re going to have an event that will take place during lunch hours and is practically for the sole purpose of lunch, then you’ll need to make the invitations that will match what you’re going for. 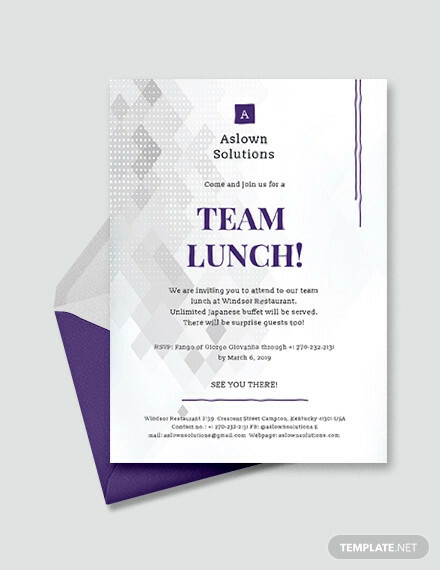 You may also see corporate party invitations. So here are a number of things that you should definitely do. If you’re going to hold a lunch event, then the time you should set for it to start should be pretty obvious. But for those of you who are unfamiliar with the perfect time to set the party, it’s best that you tell your guests to be there are around 11 a.m if you’re giving them the choice to order their food, or 12 p.m if you’ve already had all the food prepared. 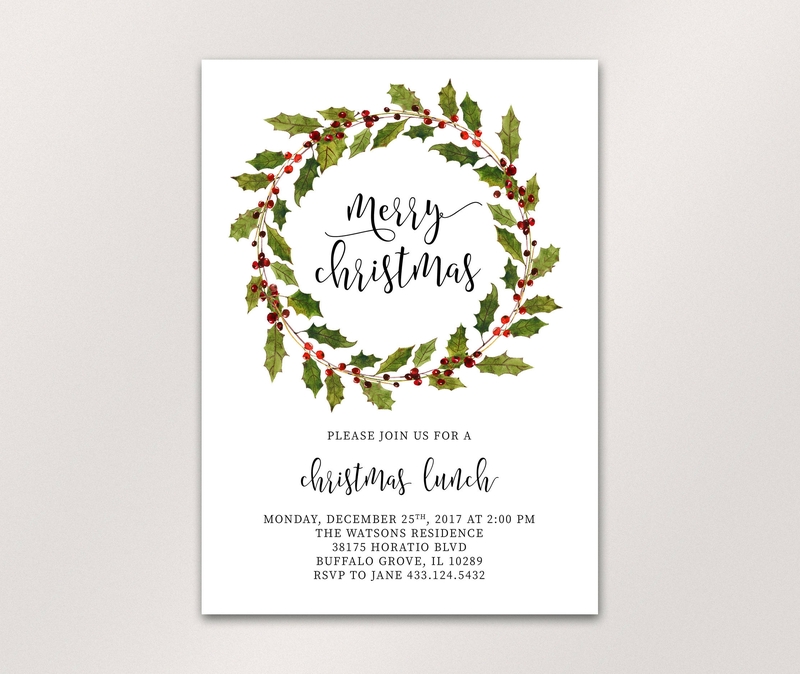 Just make sure that the time matches with what you’re trying to hold as you don’t want to end up in a situation where you’re sending out Holiday Party Invitations for your holiday lunch party and set the time to around 3 p.m. 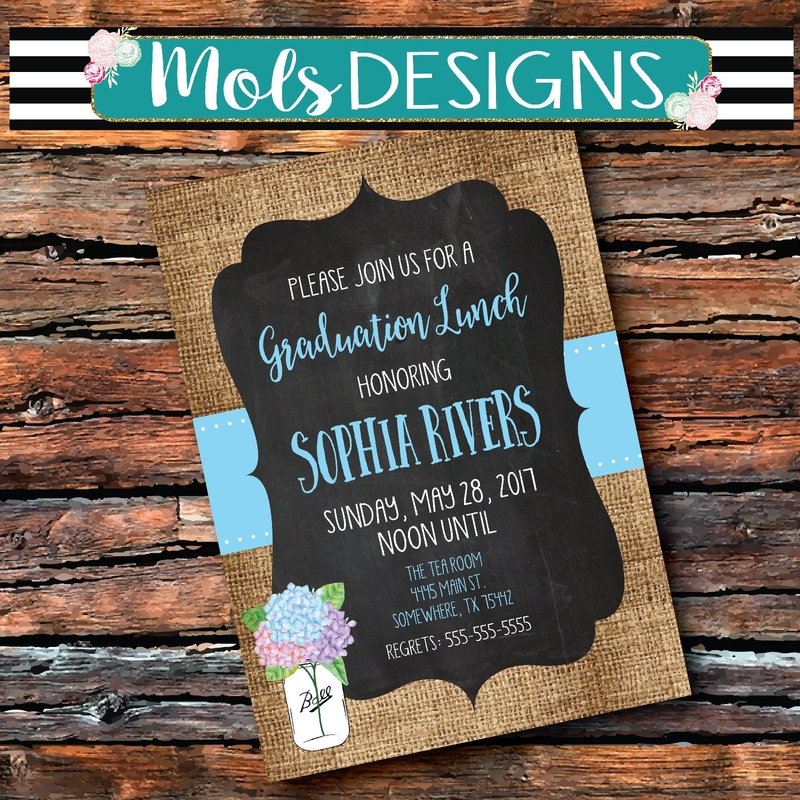 The design of an invitation is always very important as this is what’s going to tell your invitees all about your party and it’s what will help attract them to the point where they might just want to attend. 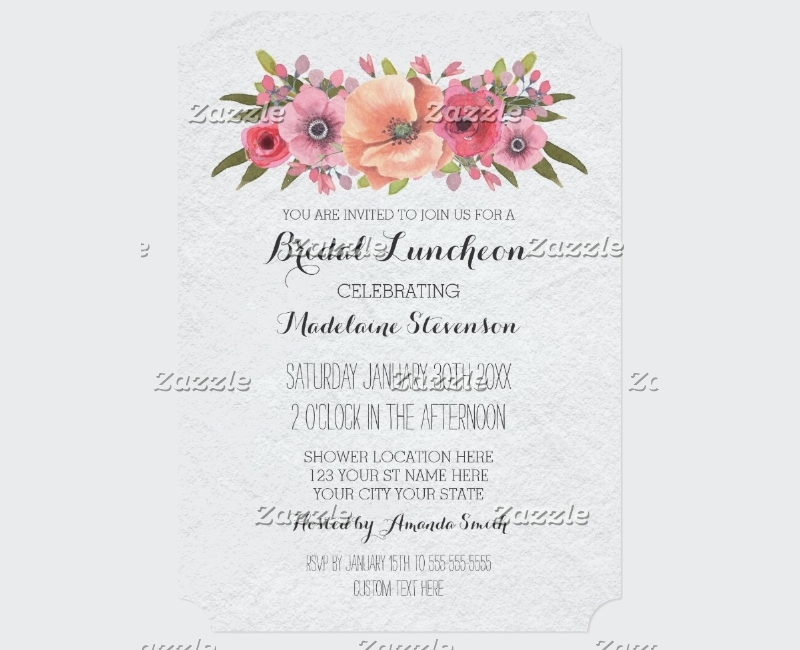 So on your end, you have to make sure that the design matches with the kind of party that you’re going for. 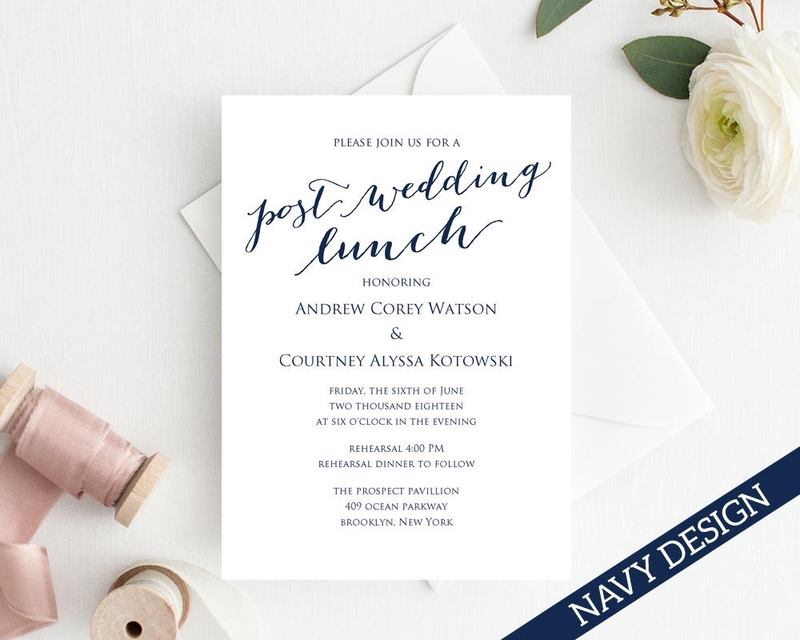 So let’s say that you’re sending out Chalkboard Wedding Invitations, so the designs should be focused on wedding images in the basic background that’s chalkboard-themed. 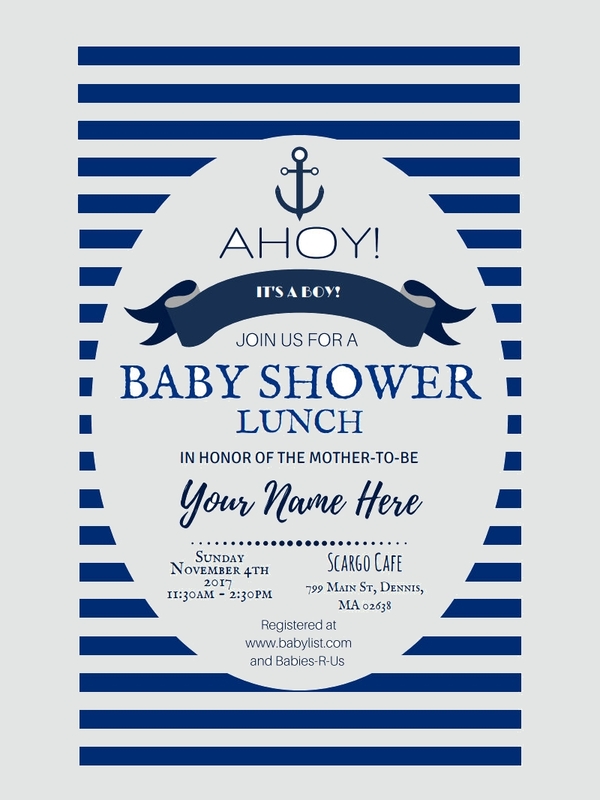 For a lunch party? 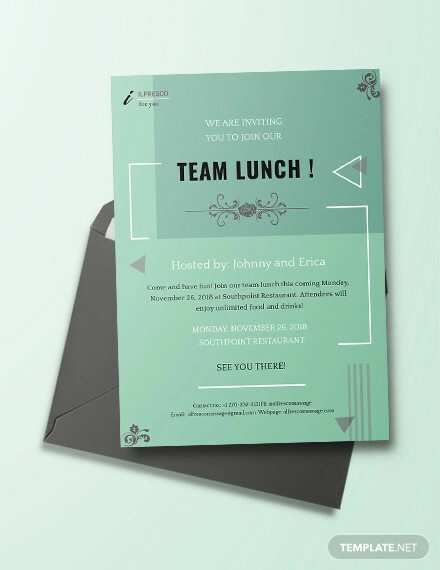 You can go with whatever design, but just make sure that it accurately portrays that it’s for a lunch; meaning images of silverware or fancy lunch tables. 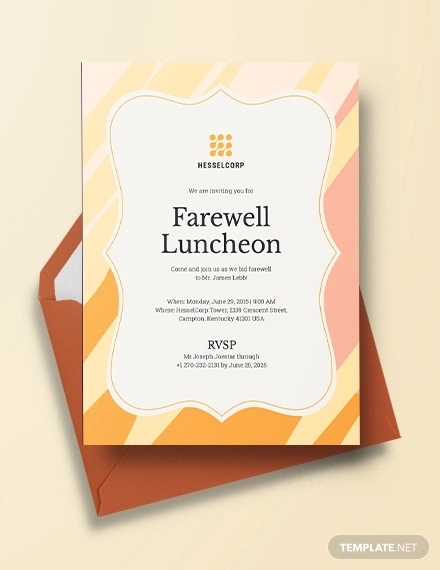 You won’t have any guests if the date you’ve set is one where they won’t be able to attend. You have to think about the best date for when the people you invite will actually be able to attend whatever lunch event that you want to hold. Because let’s say that you send out Fall Wedding Invitations where you want your friends and family to attend the wedding, but yet you’ve set the date that’s not even taking place during the autumn season and one wherein everyone is busy with work. Think about the ideal date where you know everyone can make it, preferably on the weekend. You must remember that since you’re holding an event, you want these people to know just what kind of event it’s going to be. Nobody is going to want to go if they don’t know who it’s for and why the event is taking place. The best way to convey what kind of party it’s going to be (other than by blatantly spelling out) is through the use of the invitation’s design. One glance at the images can tell your invitees all they need to know regarding the kind of party that’s going to be held. 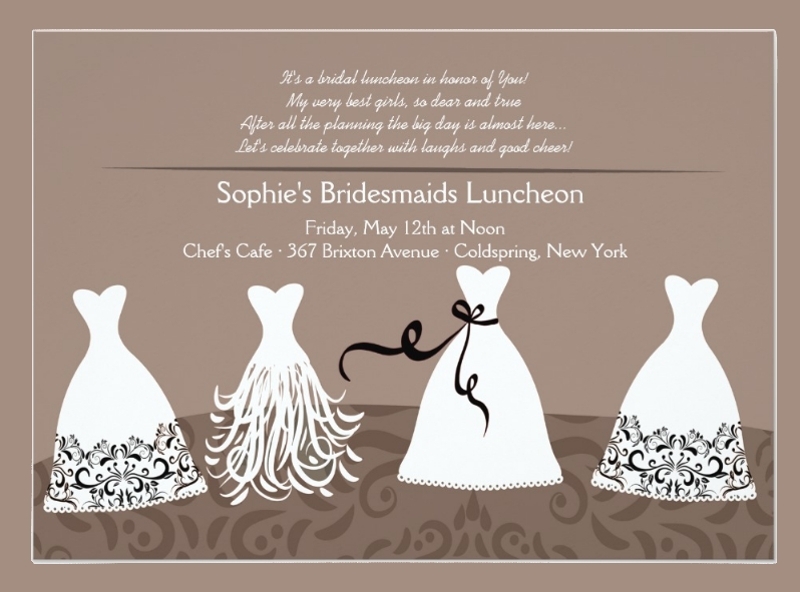 So let’s say that you’re planning no holding a fancy and formal lunch party, then you’d want to send out Elegant Invitations that can easily portray that with fonts, images, and backgrounds that clearly depicts that the lunch event is meant to be elegant. If you’re going to have a lunch event, then you’ll need to find the right place to hold it. So let’s say that the lunch is going to be a big barbeque where you’d want all of your friends and family to join in. So while you’re making those BBQ Invitations, you’ll have to think of things like where it’s best to hold a barbeque. While you can always opt for those restaurants that focus on barbequed food, you can decide to hold the event at home! 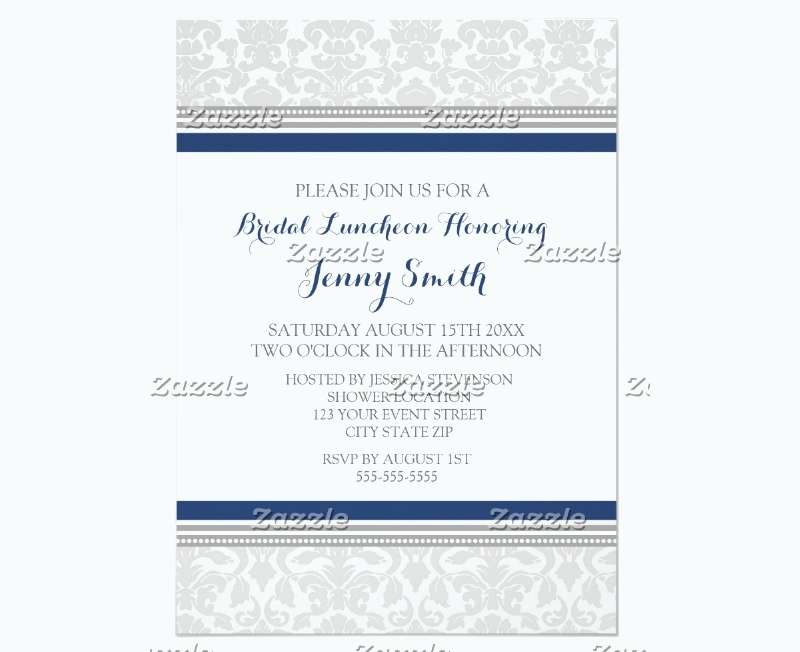 Also, remember that you must write down the complete address of the location as you want to make sure that your invitees actually know where the place is and shows up. 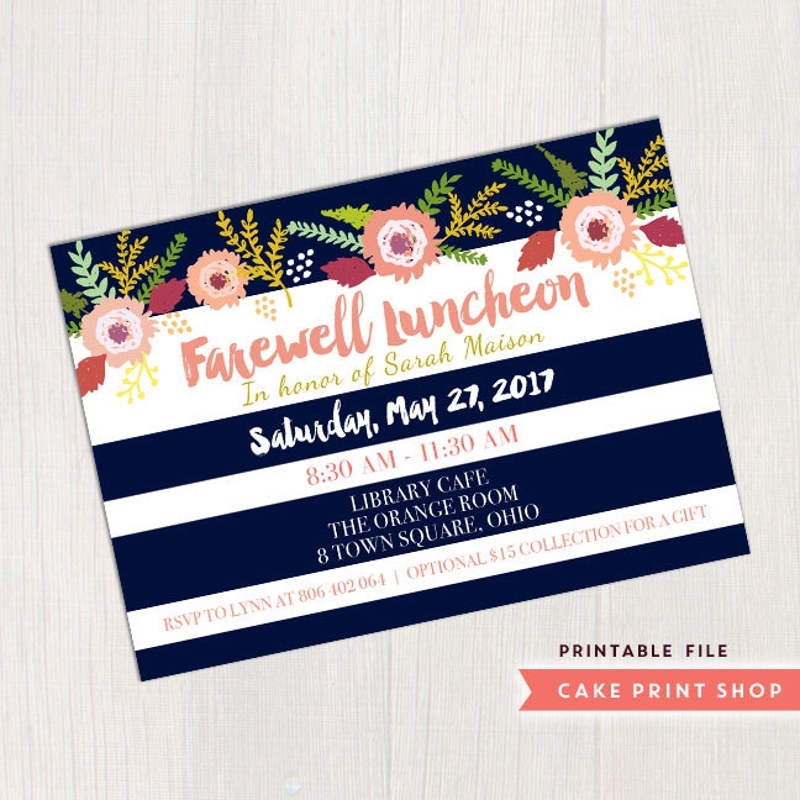 Whether you’re making Vintage Invitations or lunch invitations, you need to guarantee that whatever invitations you send out are free from any mistakes. Why? 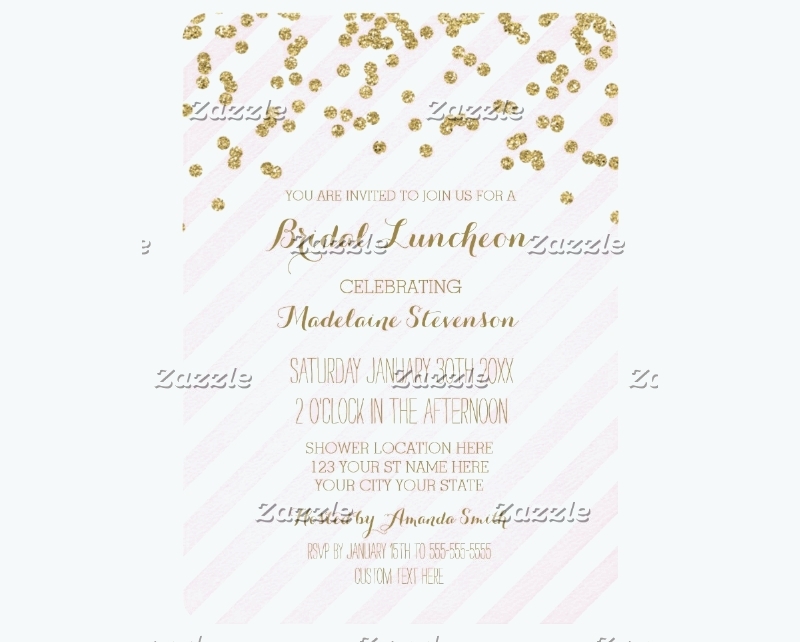 Because you don’t want to embarrass yourself by placing in the wrong date and time or by not even giving your invitees enough details regarding where the party is going to take place. 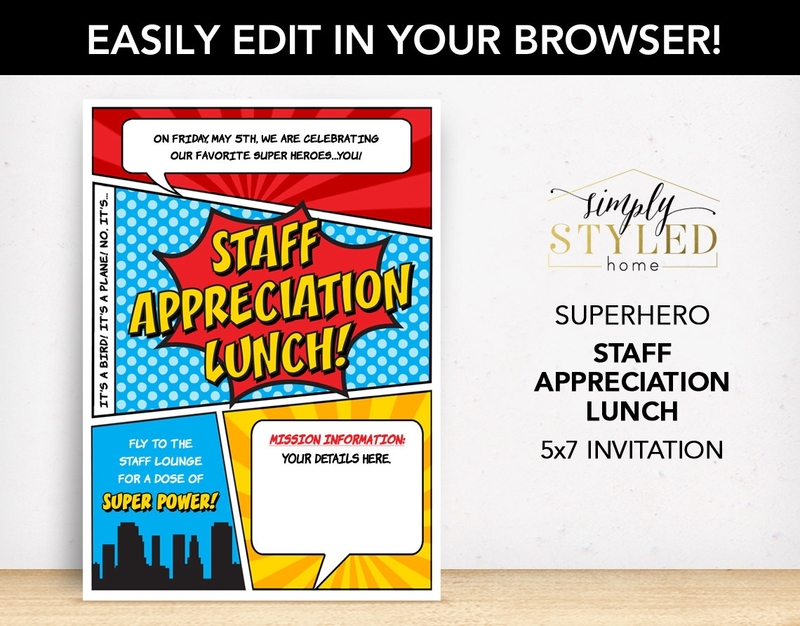 So it’s always best that you dedicate even just a little bit of your time to go through your invitations and see if there are any grammar, spelling, or information errors that you need to fix.